The dramatic entry to the Space Museum was conceived by DKA to transition visitors from daylight and earth to the outer space and the nighttime sky. looking into space with a telescope, the TV show the “Cake Boss” brought a solar system cake through the dramatic space tunnel entrance to the Planetarium.Cake Boss, Buddy Valastro said “when I brought the cake to the planetarium, going down that hallway, it felt like I was bringing the cake into outer space, it was so cool!”. The design elicits reactions from almost everyone who enters the lobby doors and the space travel “experience” begins long before showtime through the use of lighting, materials and creative design. It is not unusual for children to drop the hand of their parents and head straight for the tunnel entrance before buying a ticket! “In fact”, says principal architect, Dennis Kowal, “I’ve seen a few adults do this as well!” Architecture that conjures emotional response is a real treat. The Planetarium seating is surrounded by a seamless welded wire fabric that seems to dissolve away to reveal the technology behind when the lights are lowered. The wire fabric wall appears solid upon entering the Planetarium and then the magic begins! Space and enclosure melt away as the room darkens and what appeared solid now reveals an even larger space beyond, simulating the effect of the vastness of looking into the night sky. Buddy and the staff of Cake Boss are seen passing through the 40’ space tunnel to deliver the cake to an expectant crowd. The cake boss said the planetarium gave them one of the warmest receptions we ever got”. 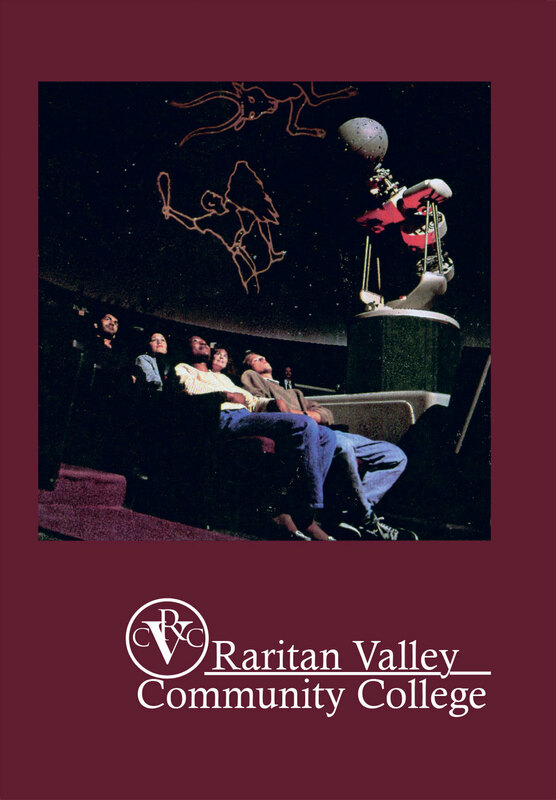 The college course catalogue which featured the planetarium and design on its cover shows the projector in use. Much research of other Planetariums went into the design and selection of equipment. The floor plan is designed in a series of orbits circulating visitors through the lobby, tunnel, museum, and planetarium. Dennis Kowal Architects is known for integrating architecture and technology.